This week we are talking about sparkle! We have gone wedding ring shopping and although we haven’t made a purchase yet, I definitely know the look I’m going for! I have a rose gold, pink morganite, and diamond engagement ring so you can go a few different ways when it comes to rings, as mine isn’t part of a set. I tried a matching wedding band and a few different wraps that I definitely prefer. 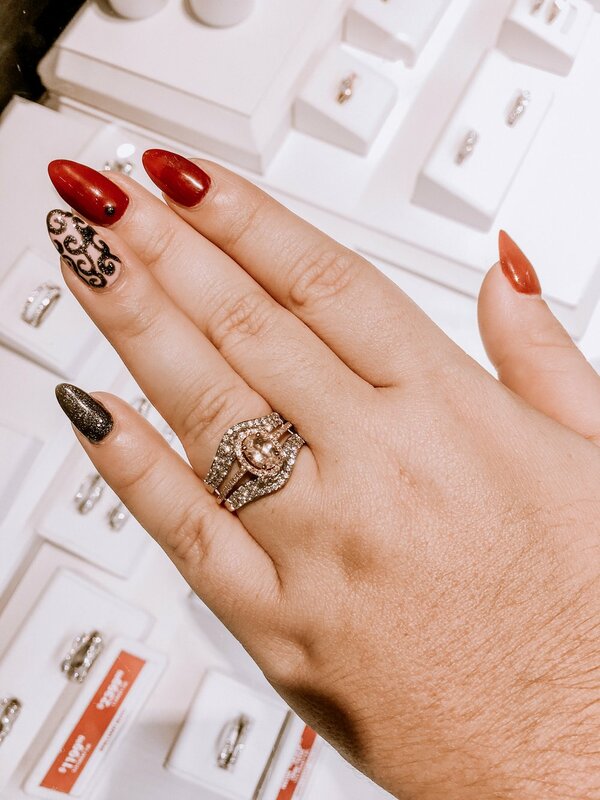 I also love lots of sparkle and the one I love the most offers sparkle and goes along with the vintage feel of my engagement ring and is timeless. Below you can see the one I love, along with a few others I tried! You can see below I tried rings that were “too much” and competed with my ring and didn’t complement it. I also tried a more traditional band that went more with my ring. 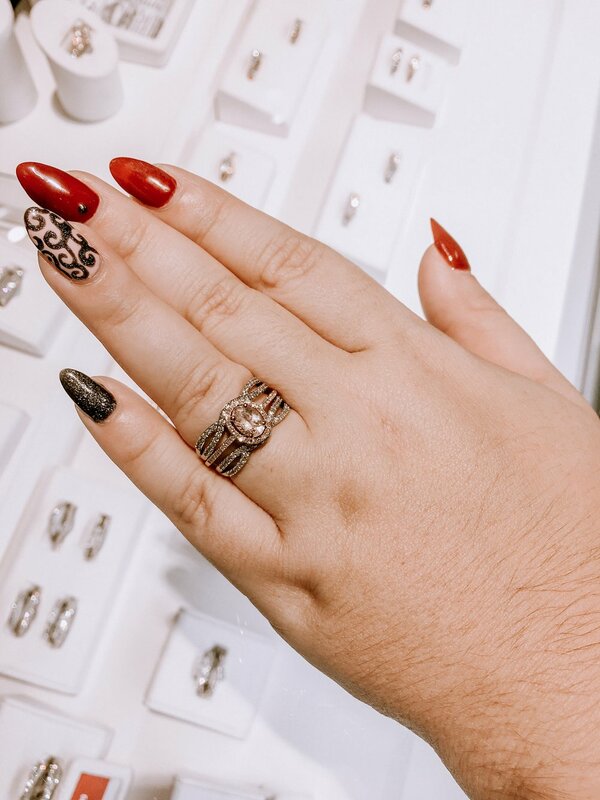 I ended up loving a white gold ring that complements the rose gold and sparkles and wraps the ring beautifully! What does your dream ring look like? Let me know!